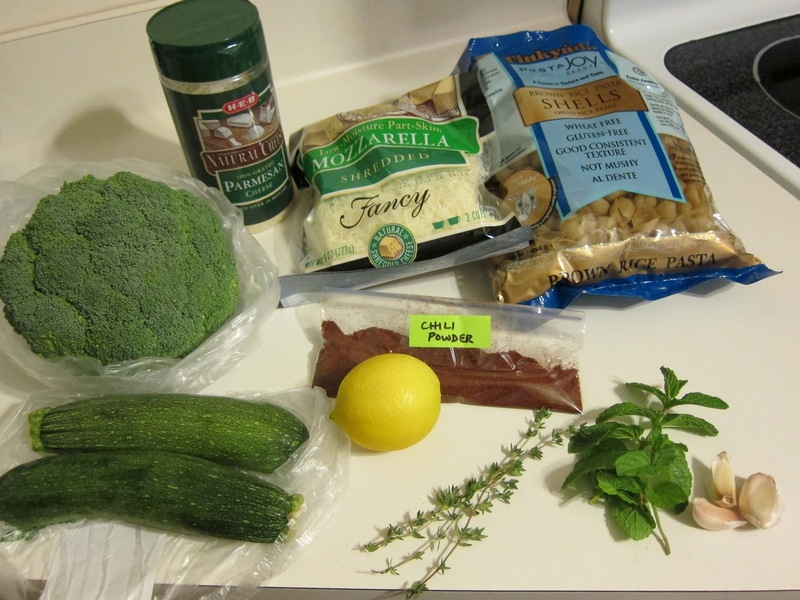 I made the Broccoli Orecchiette and Zucchini Salad from Jamie Oliver’s Meals in Minutes Cookbook. 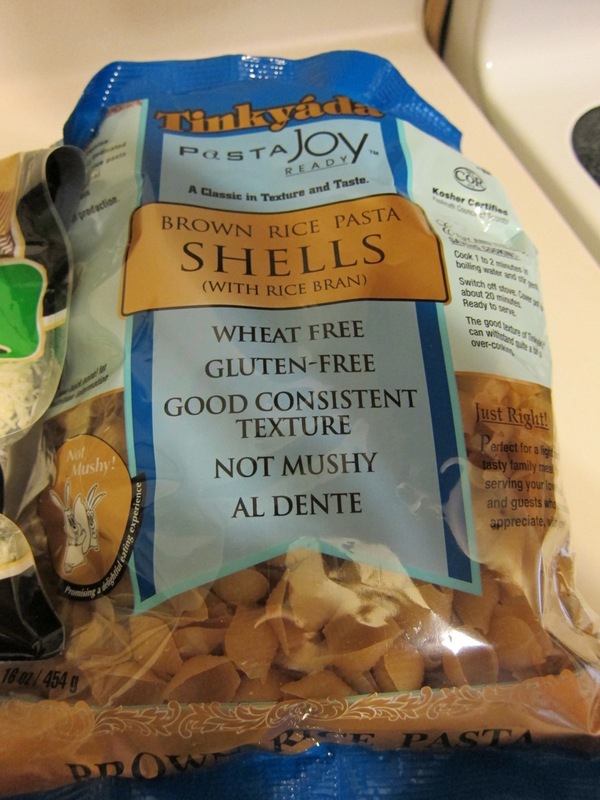 I used gluten free pasta, and I omitted the broccolini, anchovies, and capers. 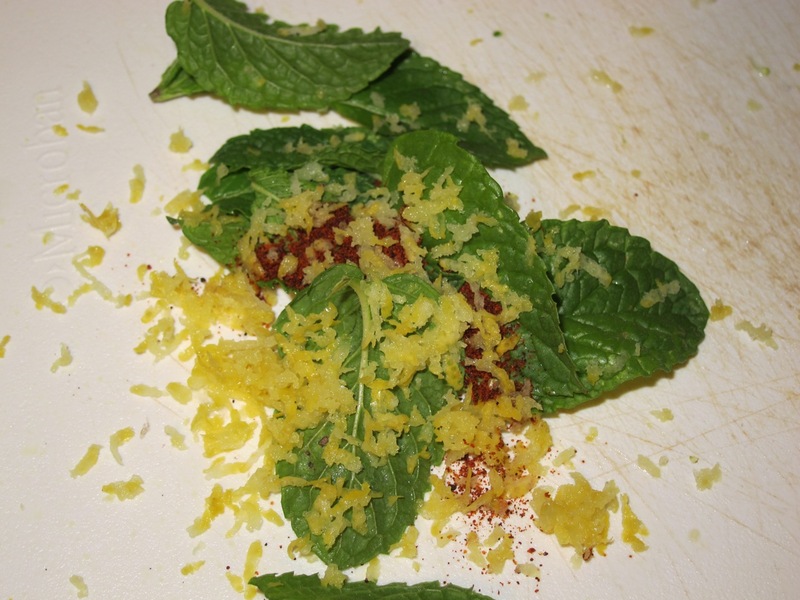 Instead of baby mozzarella balls, I used shredded mozzarella. 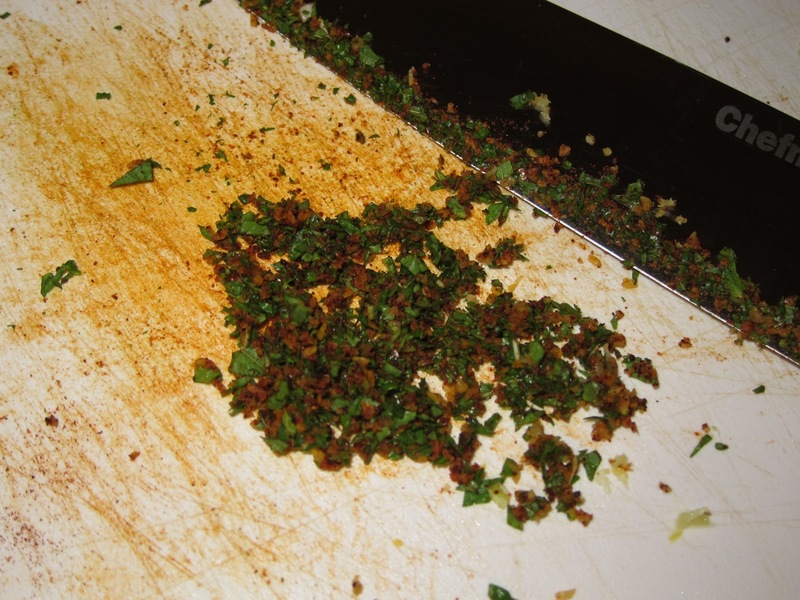 Instead of chiles, I used chili powder. 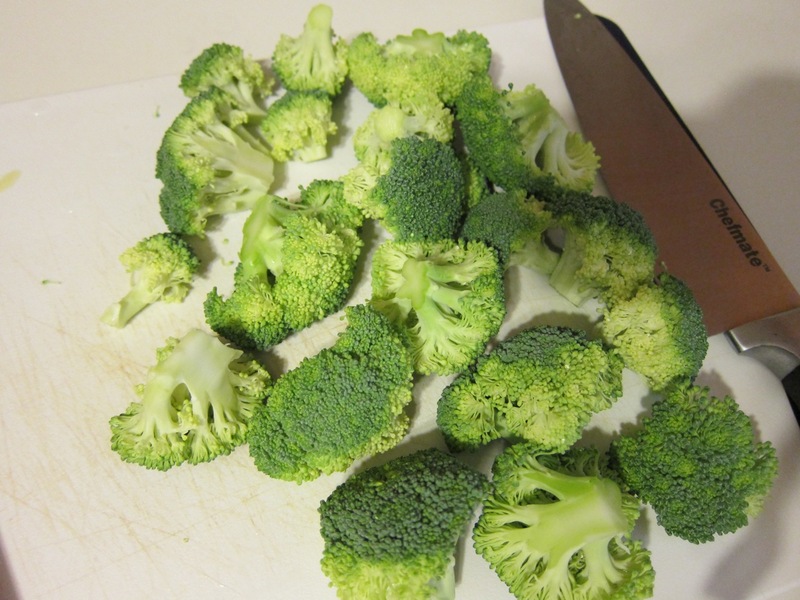 I didn’t make the broccoli paste. 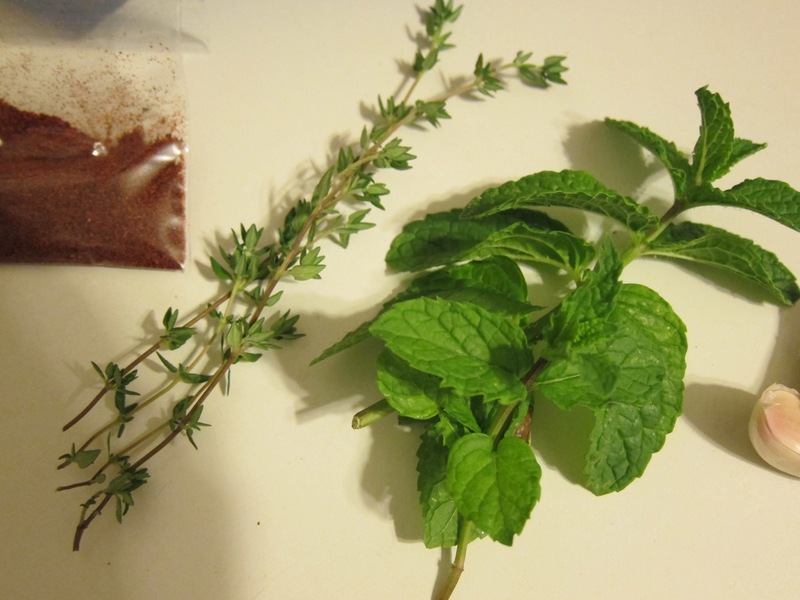 Instead, I cooked its ingredients in a pan. 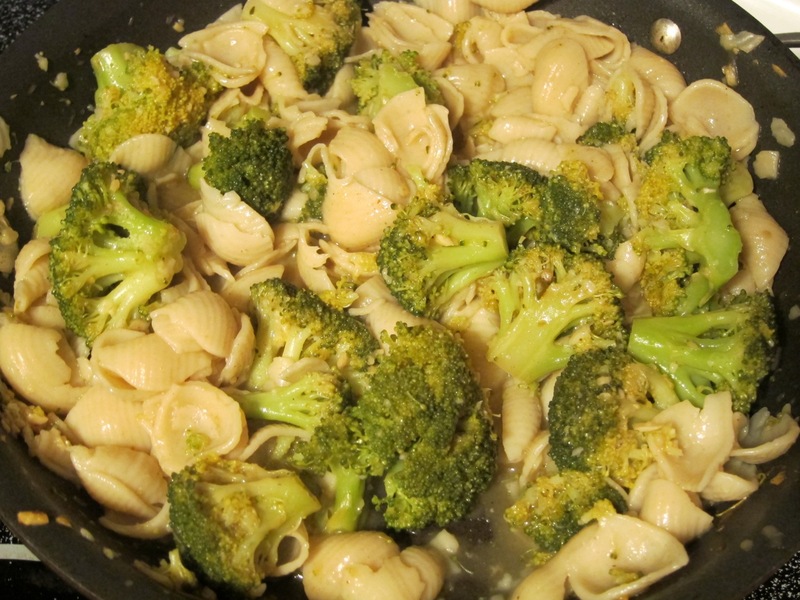 I also forgot to add the broccoli to the pasta water, so I steamed it in a pan. 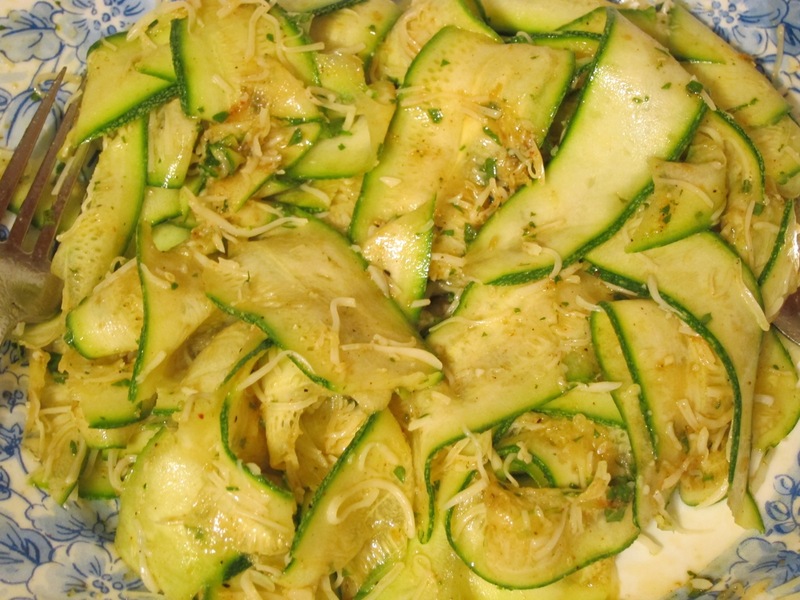 Above: The raw zucchini salad was quite good. 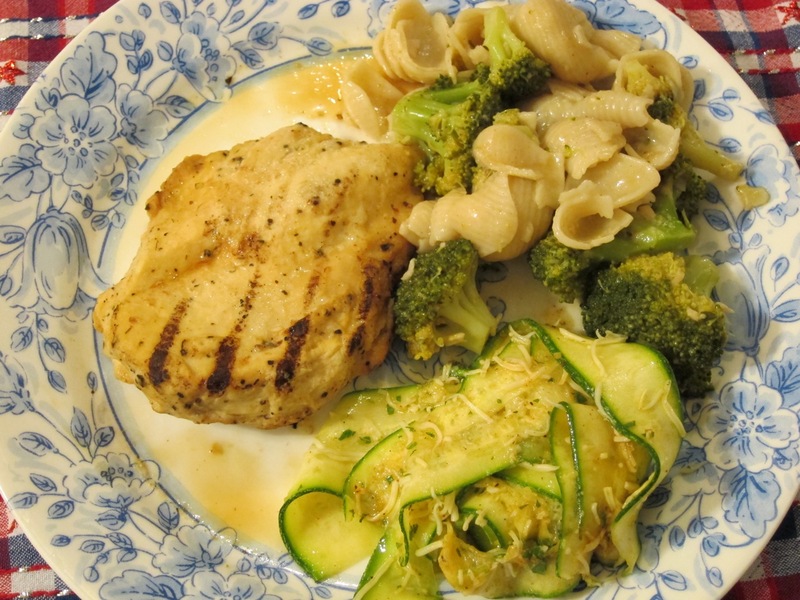 I served the broccoli pasta and zucchini salad with a chicken breast. 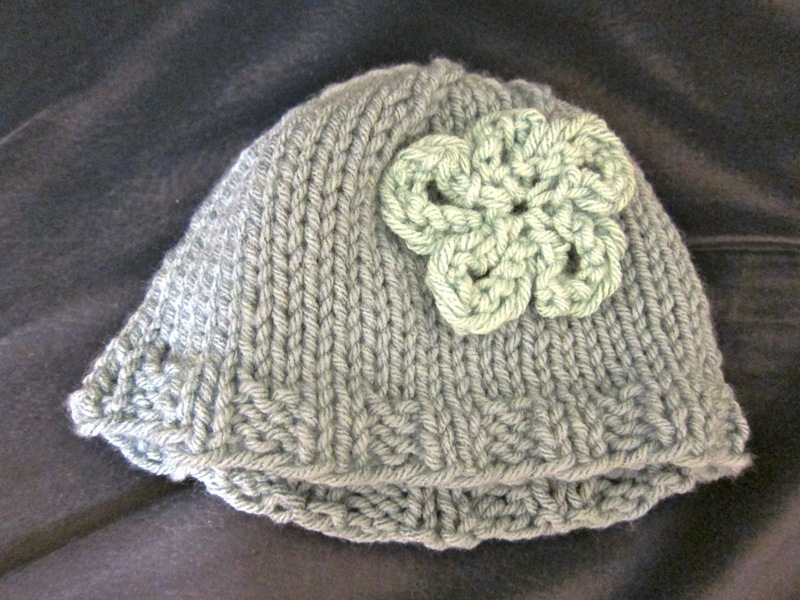 Recently, I knitted a baby hat for my friend’s baby shower. 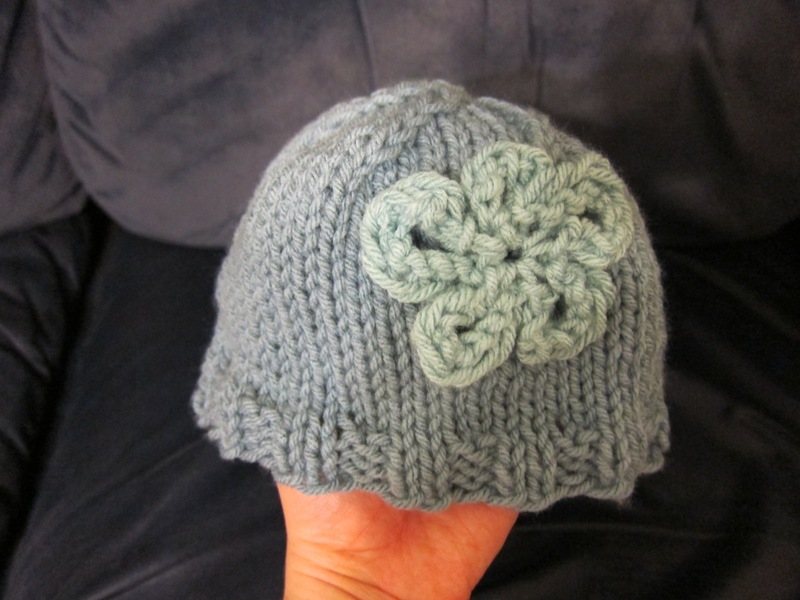 I also added a knitted flower to it. I used Caron One Pound Yarn in Azure (light blue) and Sage (light green). Click here for the flower pattern. 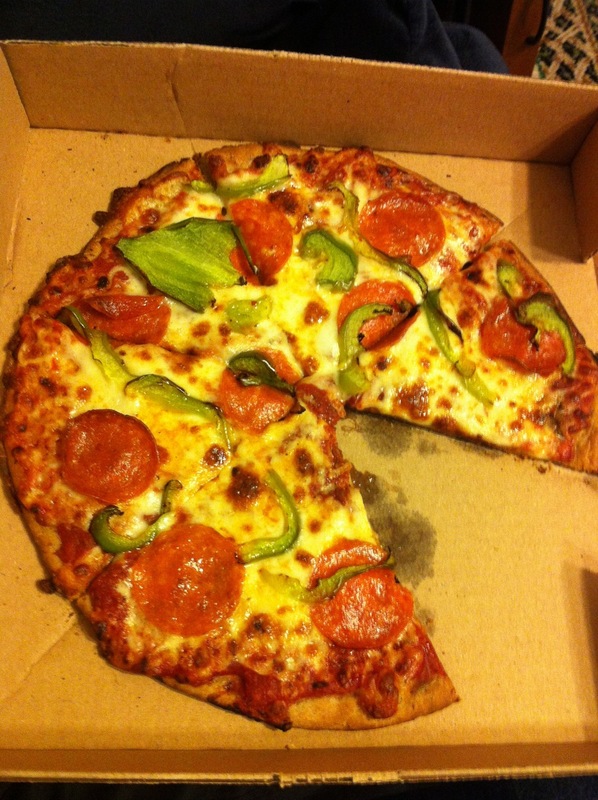 We found a local pizza place that has delicious gluten free pizza. Yum! It’s definitely a wonderful treat. This is the bulletin board I put up outside my classroom. I also wrote student names on the frogs. 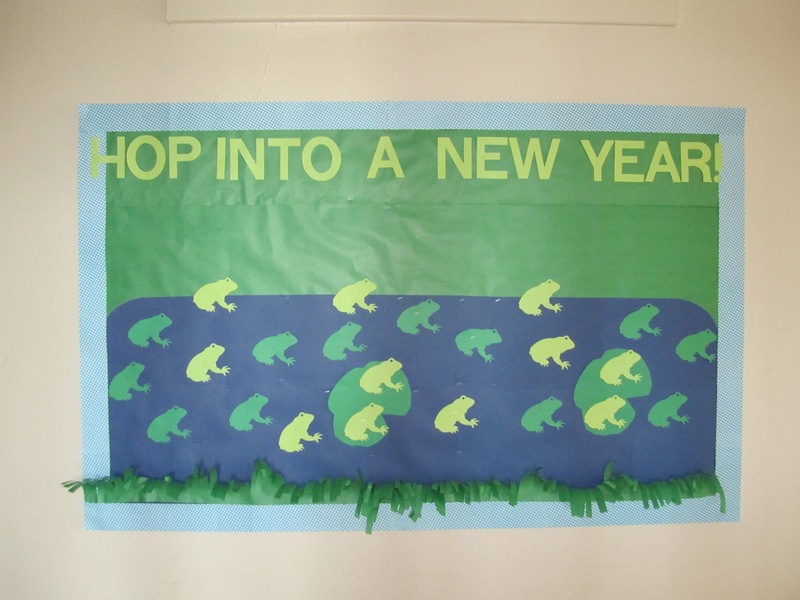 I put up more frogs than the number of students on my class list, in case more students showed. 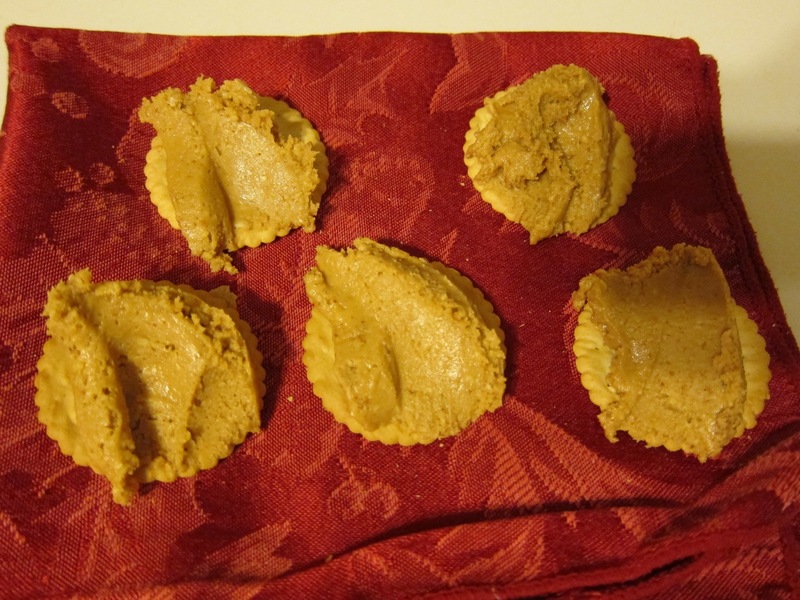 One of my snacks is usually gluten free crackers with peanut butter. 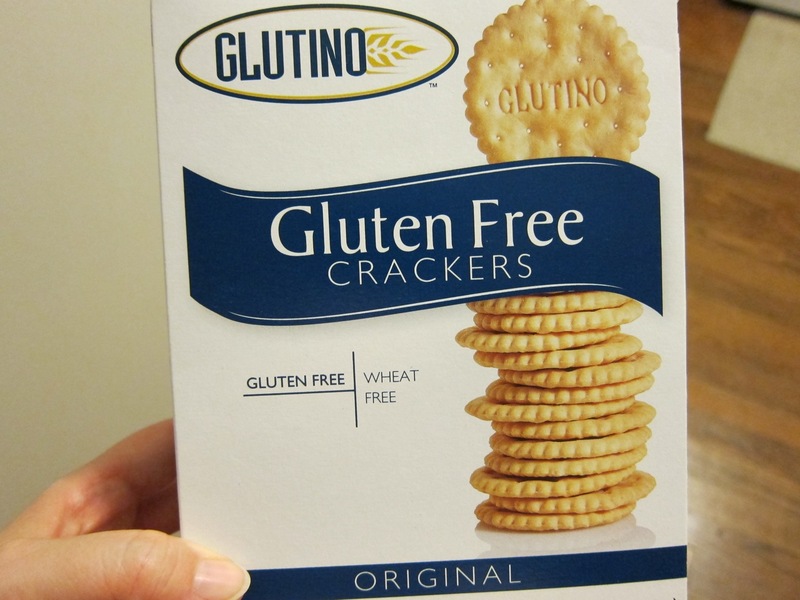 I’ve been using Glutino crackers, which are quite tasty. In order to keep within my carb limits (15g for a snack), I usually do 4-5 crackers instead of the serving size (8). These crackers are also quite good with cheese. 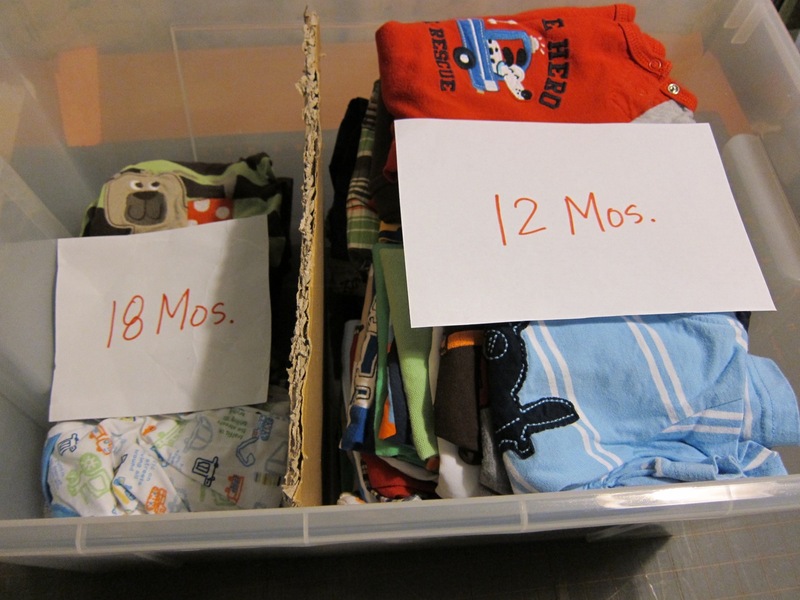 We were gifted with some wonderful baby clothes, blankets, cloth diapers, etc. 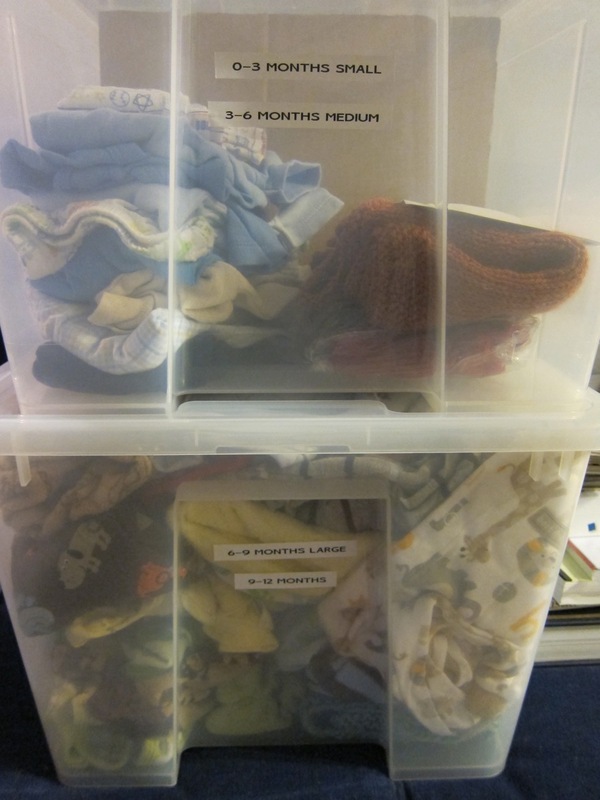 To organize and store them until they’re needed, I used large, clear stacking bins. I divided the middle of each bin with a piece of cardboard. Then, I sorted clothes by size. 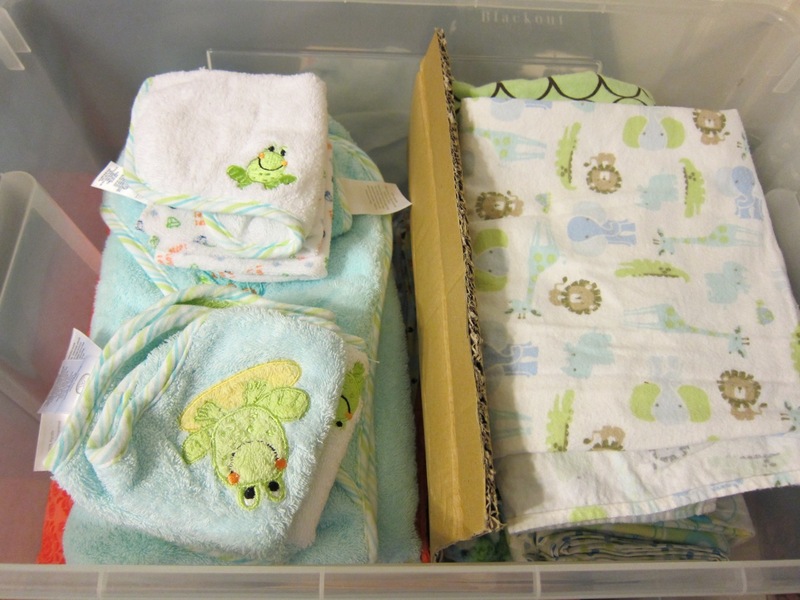 I also had bins for blankets and towels/burp cloths, cloth diapers, wet bags, etc. 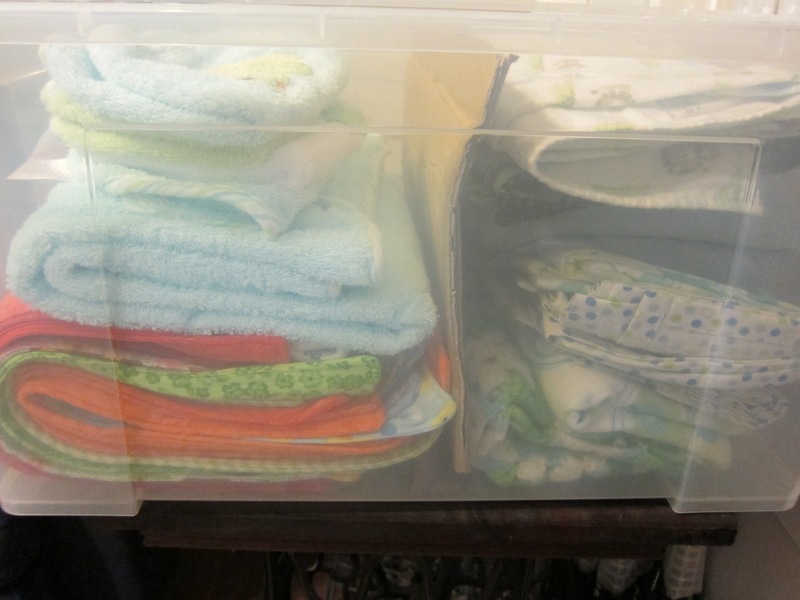 I love, love, love my cloth diaper stash! I’m a huge blue box mac and cheese person. 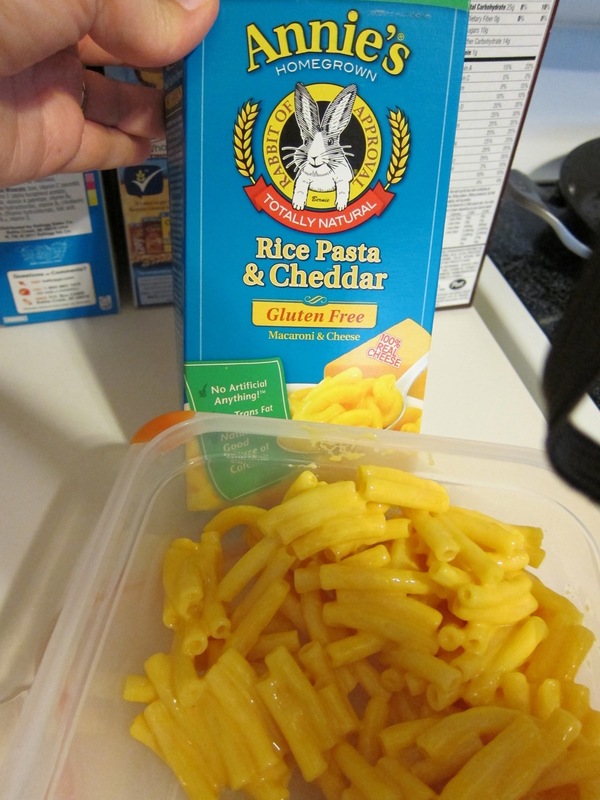 I was happy to come across Annie’s Gluten Free Mac & Cheese. I tried it and it was pretty good and reasonably similar to my blue box brand. 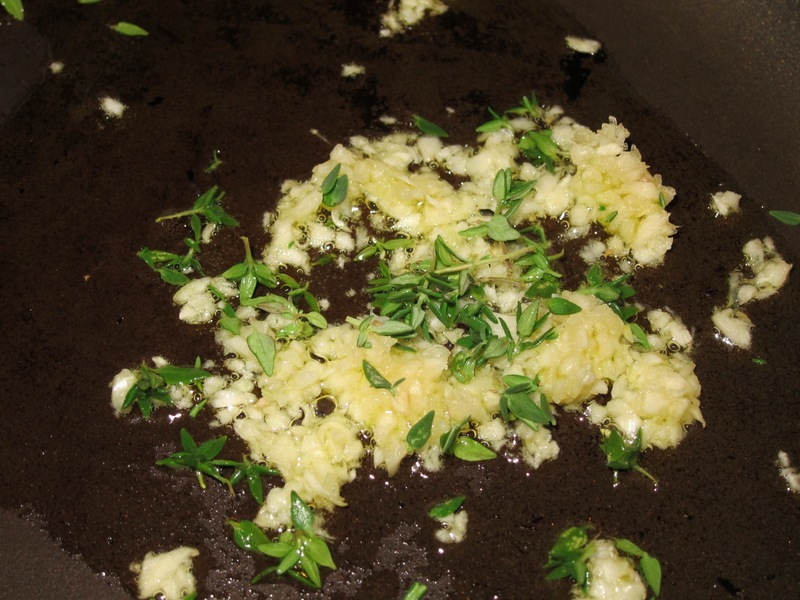 I will say that I it tastes the best freshly made, as opposed to heated up as leftovers.